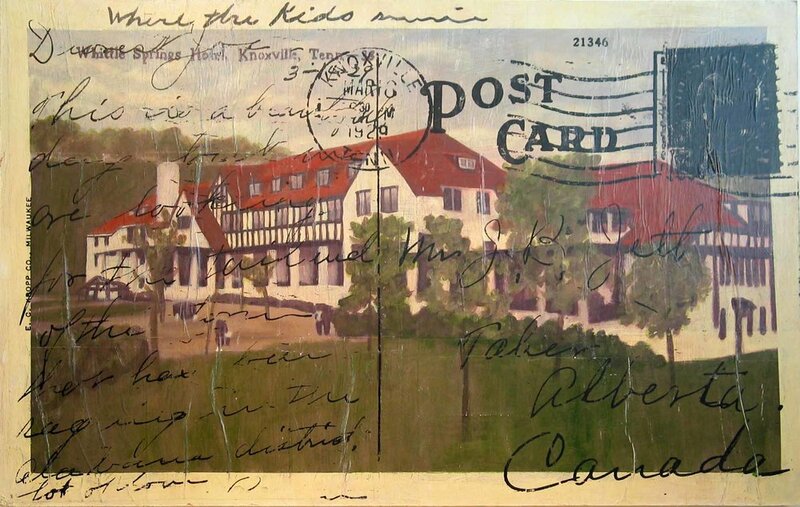 I found these postcards in a second hand book store, and they're all dated from the 20s. 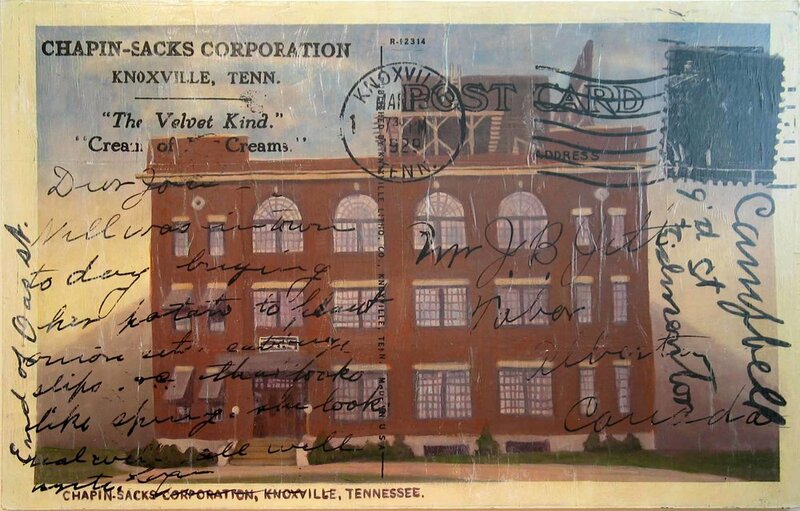 They are addressed to a man named Joe Jett in Taber, Alberta from a woman in Knoxville, Tennessee. 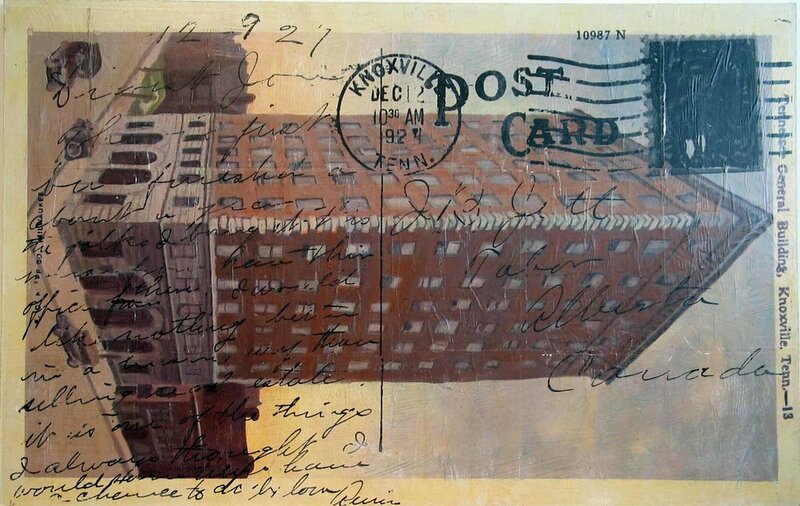 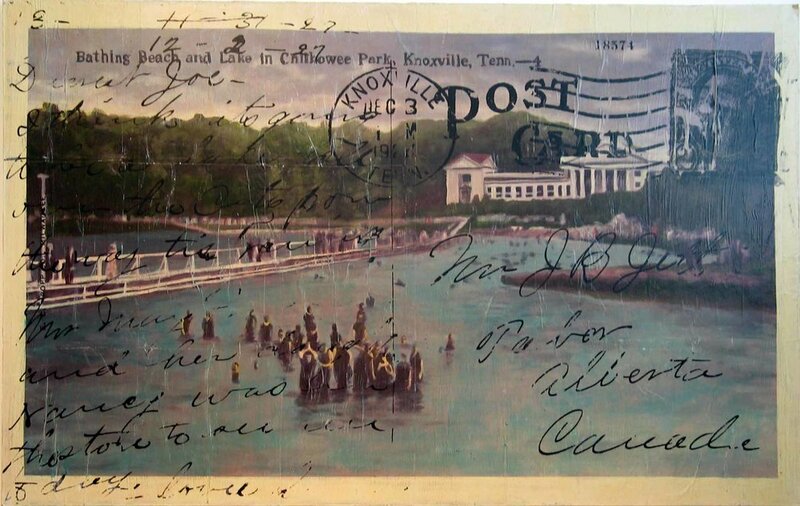 The paintings show the image from the front of the card (painted) with the content from the back overlaid on top using a gel transfer process.